Aluminum slugs product of Haomei Aluminum has all kinds of shapes, temper, grade, therefore, the application of aluminum slugs are wide spread in many industries, such as daily life, cosmetic, beverage, electrical, auto, food package and so on. The most common seen grade aluminium slugs are 1070、3003、6063、6061 and so on. The volume of aluminum slugs is small, but after stamping, the volume of final product can be large, such as sport water bottle, beverage cans. Thanks to the perfect physical and chemical properties of aluminum alloy, the aluminum slugs can be used in different industries which require different features. 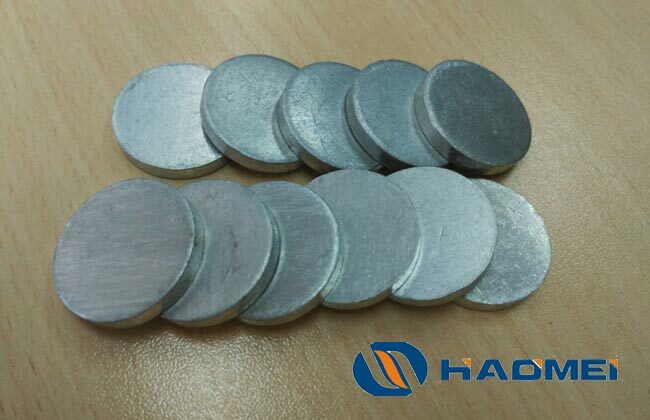 As a basic product of aluminum alloy, the processing of aluminum slugs is not complex, but Haomei Machinery still focus on the quality and service to supply best type for customers. Here let us talk about the different usage and application in different industries. 1.Daily aluminum soft tubes, such as toothpaste tubes, glue tubes, ointment tubes, etc. 2.Aluminum cans, such as aerosol cans, spray cans, car fire extinguisher cans, etc. 3.Food and beverage packaging, such as aluminum bottles, aluminum sports water bottles, beer aluminum bottles, etc. 4.Medical packaging, such as ointment hose, aluminum cans, etc. 5.Electronic components, such as capacitor shells, battery aluminum shell, etc.